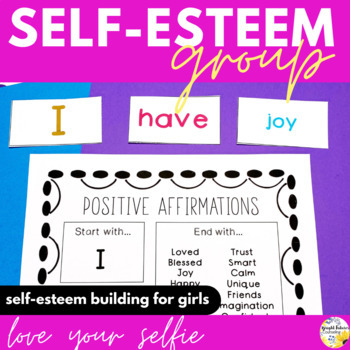 This fun self-esteem girls group helps develop confidence and self-esteem. 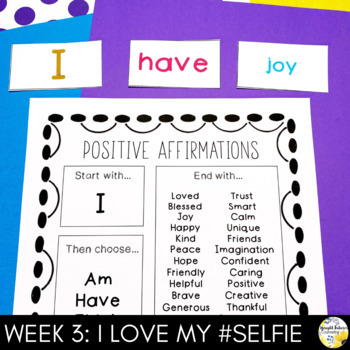 Love your Selfie is a complete 8 week girls' self-esteem group including outlines with ASCA Standards and Objectives. 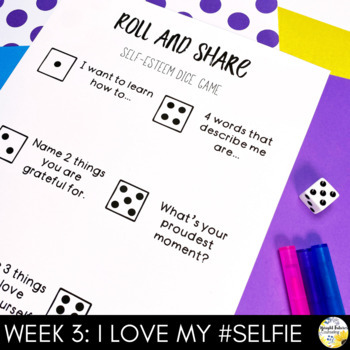 Group members will practice self-reflection, communication, and goal setting throughout each week's self-esteem building activities. 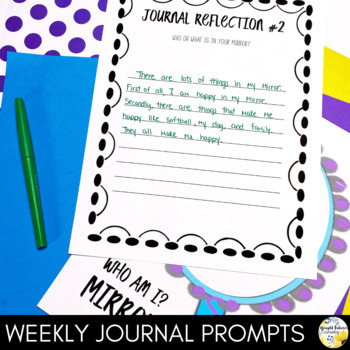 Each weekly session includes an icebreaker, activity, and journal reflection. Pre and post group self assessments to make data collection easy! -Get both self-esteem groups in this BUNDLE. Click here to join my mailing list and get FREE counseling resources! Look for the green star next to my store logo and click it to become a follower :) Then you will be the first to know about my new discounts, freebies and product launches!